Saturated fat has received a bad rep for many years in the diet world. The National Cholesterol Education Program (NCEP) and the American Heart Association (AHA) recommend that saturated fats should consist of less than 7 percent of your daily caloric intake. Although there is emerging evidence to suggest that not all foods containing saturated fat are necessarily bad, current dietary recommendations recommend limiting the amount of saturated fat you consume in your cholesterol-lowering diet. Therefore, when looking for foods to include in your diet, foods labeled “less saturated fat” or “low in saturated fat” may be tempting to purchase. Although both of these nutrient claims imply that these foods have lower amounts of saturated fat than their higher-fat counterparts, what do these statements on your food packages really mean? The Food and Drug Administration has guidelines for food manufacturers labeling foods regarding saturated fat content. 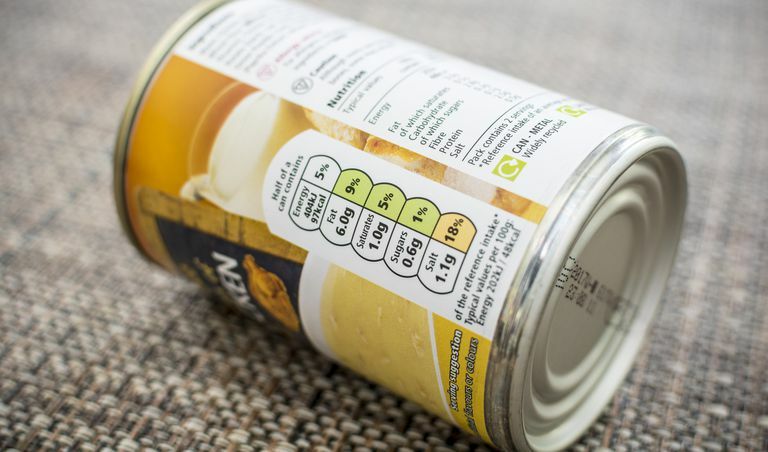 The phrases listed below are the more common statements made on food packaging labels and what they really mean in terms of saturated fat content. Some food packages may contain statements such as “reduced saturated fat” or “less saturated fat.” These statements mean that the food product has 25 percent less saturated fat per serving in comparison to a similar food that does not contain those statements. Additionally, if the label in question is on a meal or main dish, such as in restaurants, it could also mean that the food has 25 percent less saturated fat per 100 grams compared to a similar food. This term means that the food item contains about 1 gram of saturated fat or less per serving. It also means that saturated fat contributes 15 percent or less to the total calories of the food. If pertaining to a meal, the statement "low in saturated fat" means that there is only 1 gram of saturated fat per 100 grams of food, or that saturated fat makes up less than 10 percent of the total calories of that meal. The term “saturated fat-free” can be misleading because a food can be labeled as free of saturated fat, but still contain a small amount of it. A food can be labeled "saturated fat-free" if it contains less than 0.5 grams of saturated fat per serving. Even if a food is labeled “saturated fat-free,” it could still contribute a significant amount of saturated fat in your diet—especially if it is a food that you consume multiple servings of per day. Even if a food label contains one of these phrases on its packaging, it does not necessarily mean that the food item is completely free of saturated fat. Therefore, it is a good habit to closely examine the package label closely for saturated fat content and serving size to make sure that you are not consuming too ​much saturated fat. Additionally, you should also check the food label for other ingredients, such as trans fat, and carbohydrates, which could also adversely affect your cholesterol levels. Food and Drug Administration Guidance for Industry: A Food Labeling Guide. Rolfes SR, Whitney E. Understanding Nutrition, 14th ed 2015. Are Fat Free Foods Healthy for Your Lipid Levels?